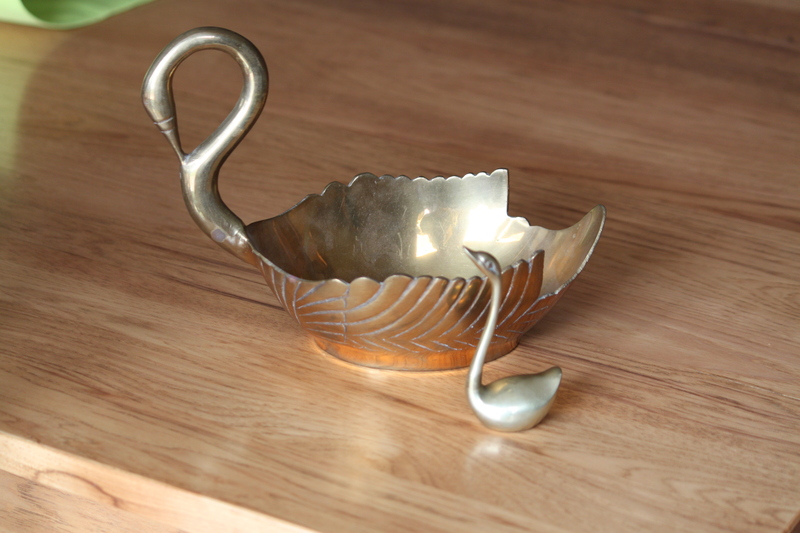 Remember the gold swans. I am just not into gold, reminds me of growing up in the 80’s; everything was gold. 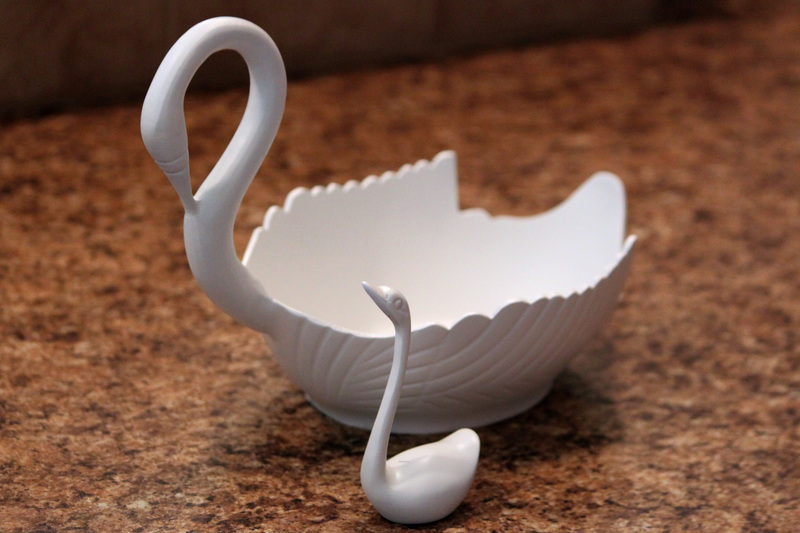 I just grabbed a can of white spray primer and then a can of white spray paint and turned these ugly ducklings, uhm, swans, into beautiful white swans for my springscape above my kitchen cabinets. 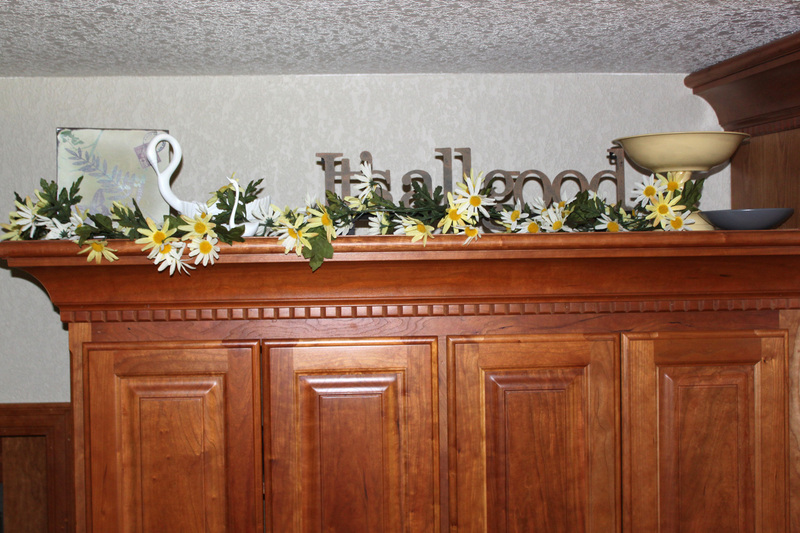 So I added them to my “It’s all Good” sign that my sister gave me and I love because I always say, “It’s good, it’s all good.” and a few spring flowers. I couldn’t get a good shot without the shadows from the flash. 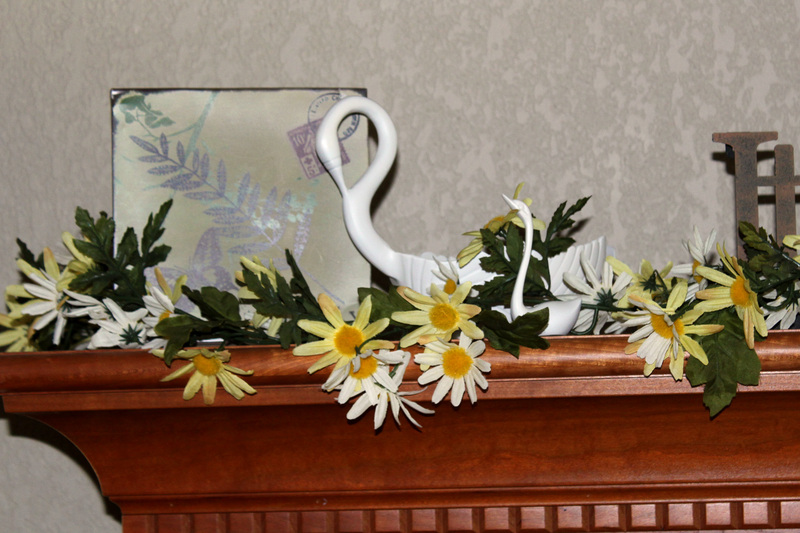 Here is a close up so you can see the swans in there. I will show you a close up of the bowls tomorrow. Grab a can of spray paint and upcycle something old. It sure makes me happy.